for those that don't know us, james and i tend to be (or at least consider ourselves) pretty tech-savvy. we love when technology makes our lives simpler. one thing we are terrible at doing is turning on and off the lights in our home. mainly just the outdoor lights, and a light for sanford when it gets dark. we already had a way of manually turning on the living room light for sanford when we're away from home, but we'd often forget. and waiting until we got home to turn out the outside lights could mean stumbling (i'm a bit of a clutz) and fumbling our way from the garage to the front door in the dark. 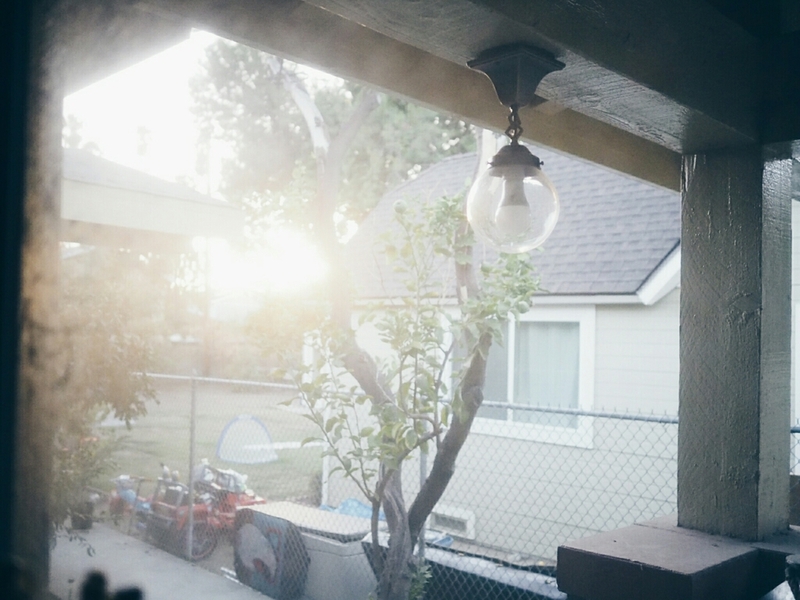 and the light on the street side of the house, well - it's switch is in the guest bedroom, and near the floor, where you would expect an outlet. needless to say, i never turned that light on, which meant it would often stay on, or stay off, for longer than intended. 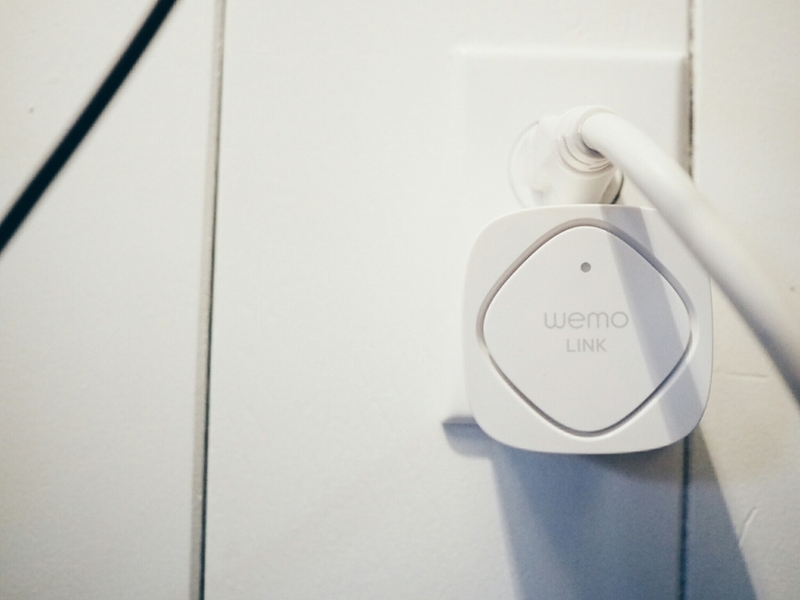 so when the belkin wemo home automation system came out with smart light switches that you could program with IFTTT, we jumped on that train immediately. except when we opened up the electrical switches to install them, we realized that the electrical in our house is so old it's not compatible with them! 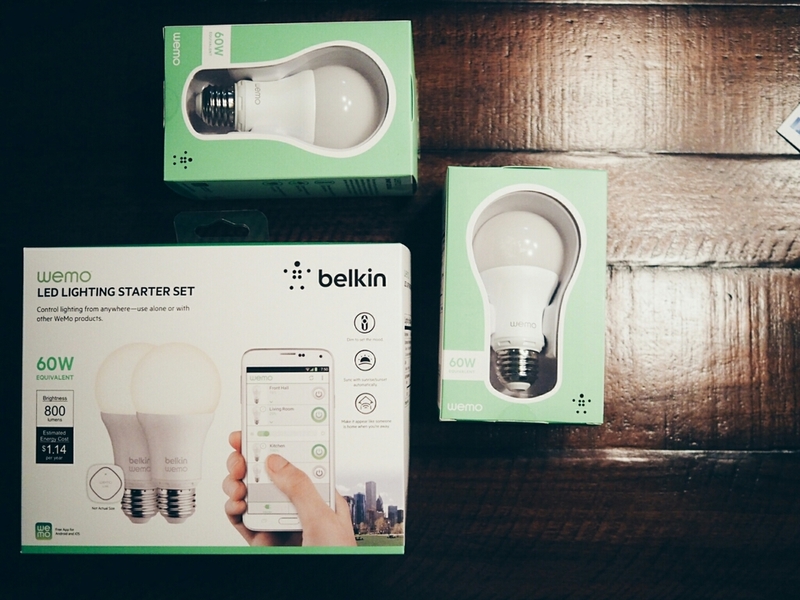 then, the other week, belkin released their smart led light bulbs! it requires a small central link that controls the bulbs via wifi, but would allow us to have programmable lights even without having to update the electrical! 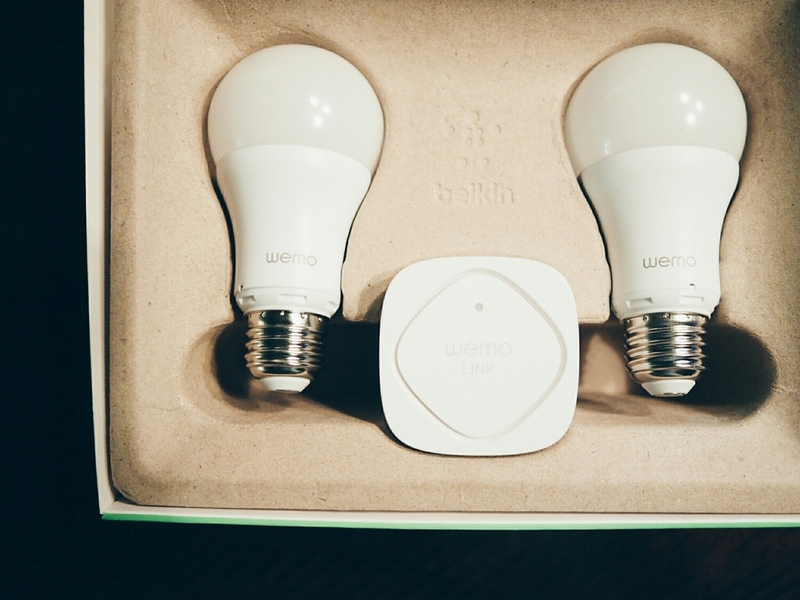 we bought the starter kit (with wemo link and two smart bulbs) and two additional bulbs immediately. let me say right off the bat that we had a lot of trouble getting this set up, and that the system still needs a lot of work. the system is technically really easy to set up. 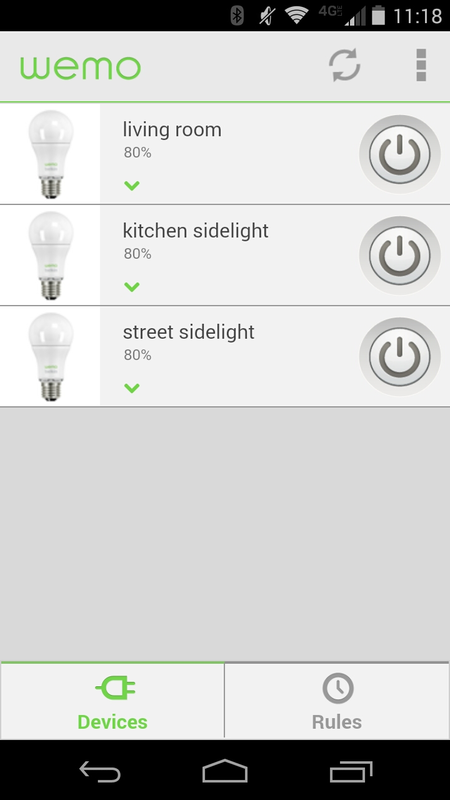 plug in the link, install the lightbulb and turn it on, open the wemo app, connect to link via wifi which walks you through the rest of detecting the light bulbs that are on and emitting a signal. however, just our luck, we tried it with just one light bulb first, and it was busted. we didn't know it was busted though, as the light itself functioned, but the link could never find it. after several frustrated attempts and restarting of the link, i decided to try another light bulb. voila! it worked. also, the app itself is slow. and buggy. rules are easy to set up, but once set, we haven't been able to change them. the app just hangs. our workaround is to delete the rule and create a new one. plus, for now, you can either set them to come on/off based on time, or sunrise/sunset. it would be great if we could make time-offsets (eg. 30 minutes before sunset). all that being said, once we got it all set up (minus the one bulb we need to return, but that's okay because we got 4 total so we'd have an extra) it's been great. we have the outside lights set to turn on at sunset and off at sunrise. it's be so nice to just not have to think about. not as pretty as an edison bulb, but i'll take the convenience over pretty in this case. so yea - it's a bit of a mixed bag, but totally worth it in our opinion. hopefully over time the software will only get better. and when we get the electrical in the house upgraded, we'll be able to use those switches instead, and use these lights in other spots around the house.